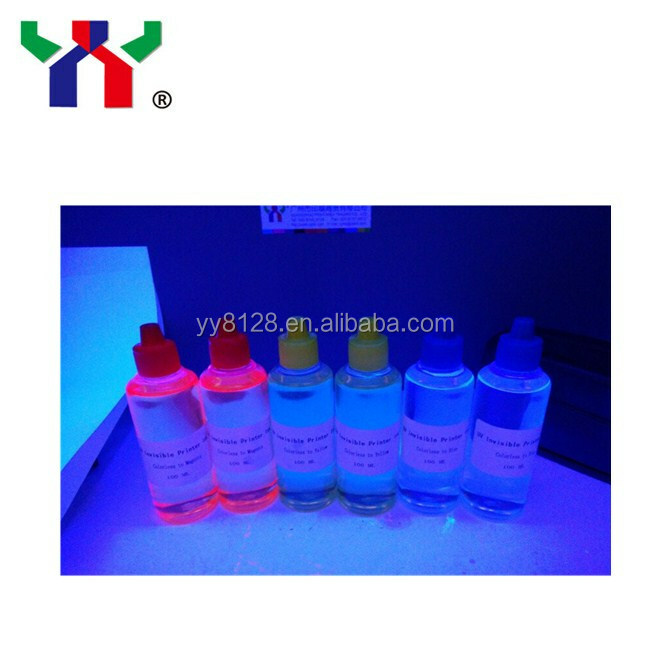 Fluorescent ink, it is kind of transparent ink, often to be called invisible ink. 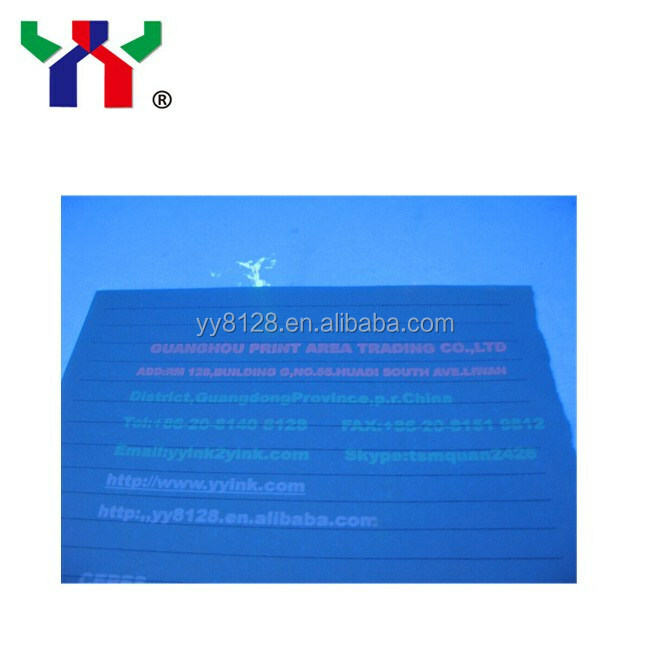 Under irradiation 200~ 400 nm light, the invisible ink gives out 400~800 nm visible light. 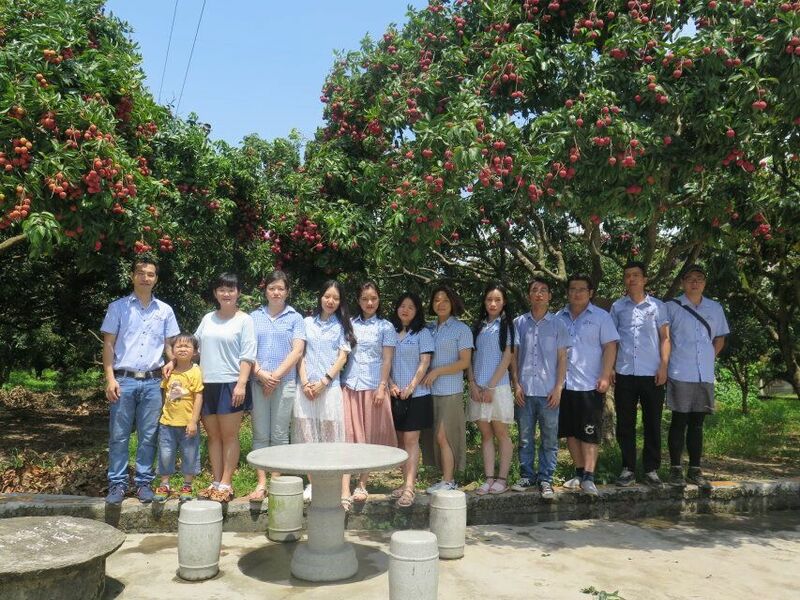 And the color can be red, yellow, yellow. 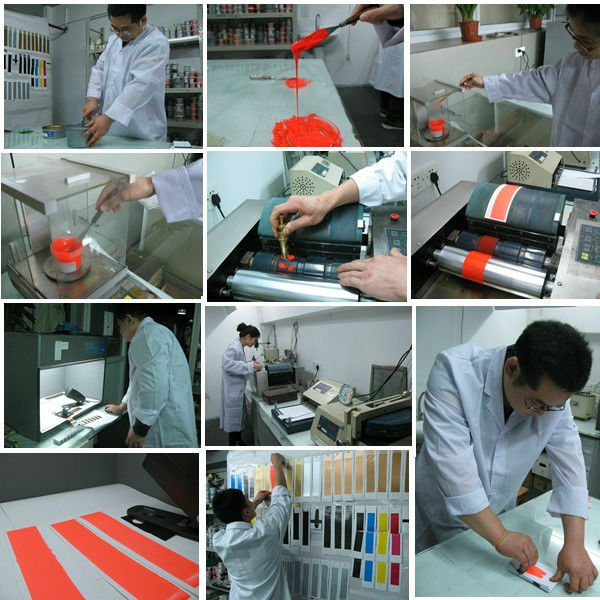 Fluorescent ink depends on the different irradiation wavelength, there are two kinds,Irradiation light wavelength 254 nm, the ink is called short wavelength, Irradiation light wavelength 365 nm, the ink is called long wavelength, long wavelength ink can be irradiated by both 254nm and 365 nm light, but short wavelength ink only can be irradiated by 254nm light. 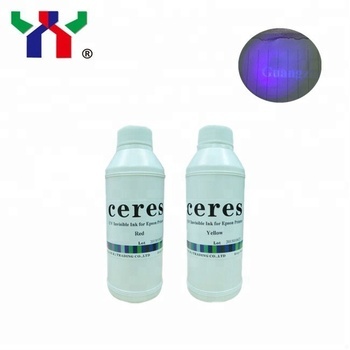 Invisible UV ink, under common environment, it is transparent, under UV light, it is can be seen as red, blue. 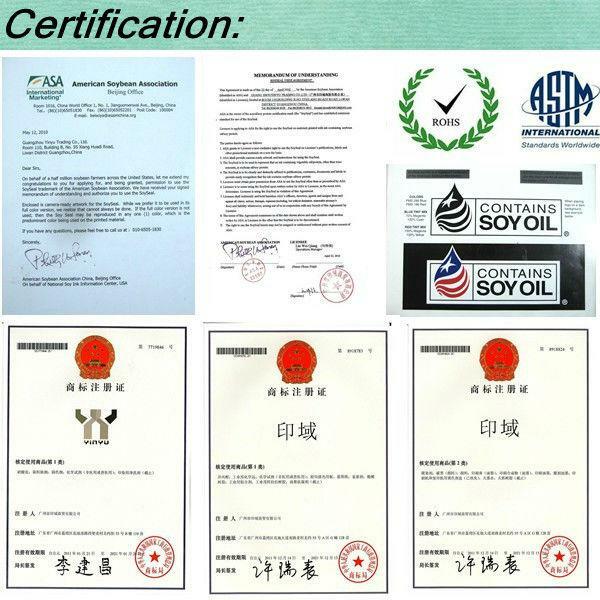 Patterns and logos printed with security ink can be checked by magnetic detector,and printed passwords can be read out by information decoder and recognized through rubbing effect of automatic processing device. 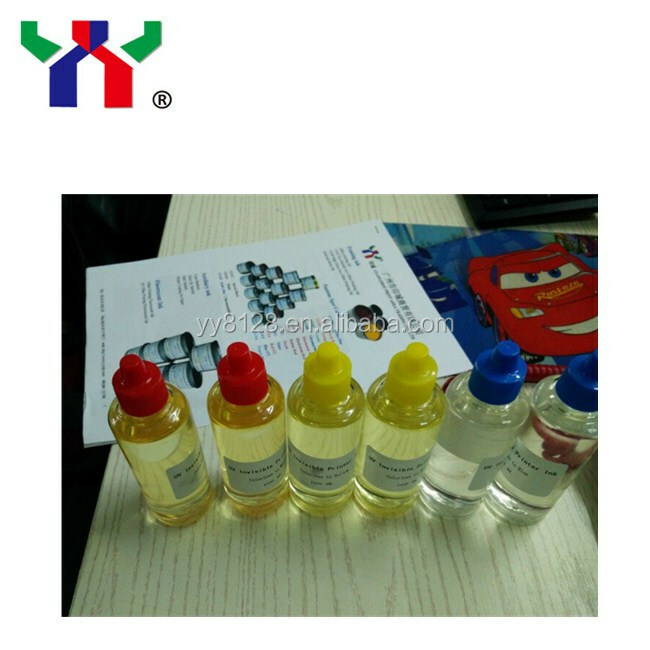 Colorless in the sunlight, but can reflex its ture color under the UV light, just like the pictures show below. 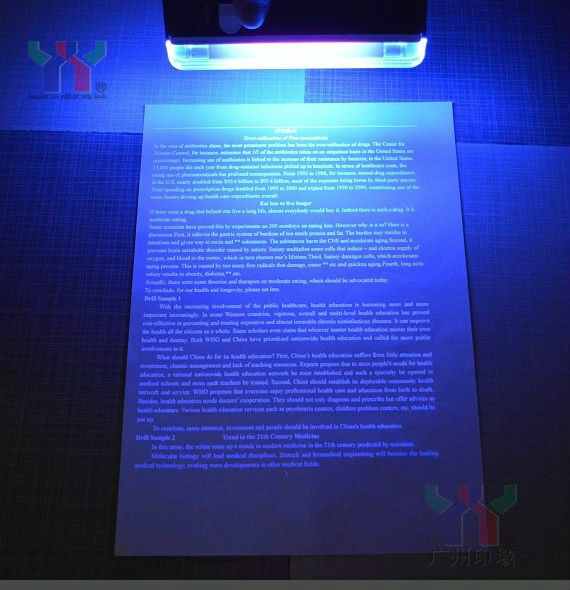 Under the UV light,you can see the words. 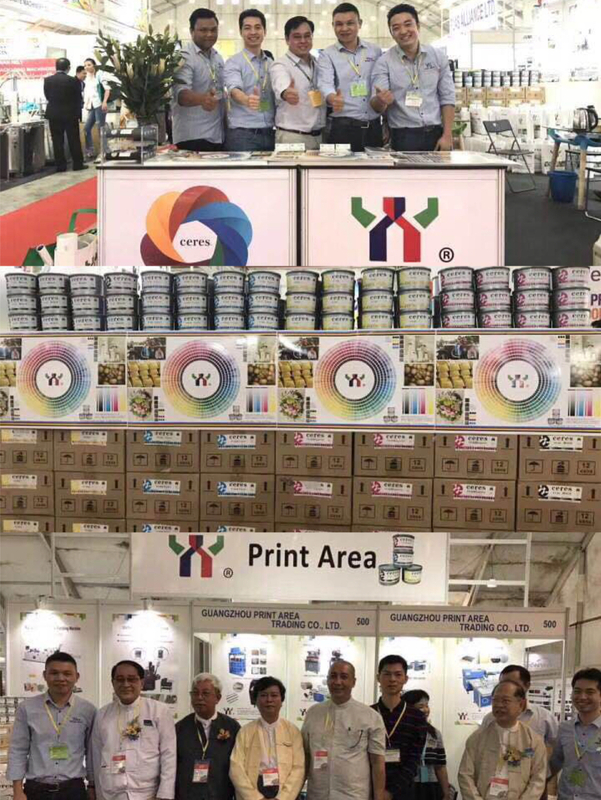 We have over 16 years of printing experience , one- stop purchasing , wholesale and retail printing inks, PS plate, blanket, pressroom chemicals, and all kinds of import and domestic brand printing materials , over one thousand models and specifications for your option . 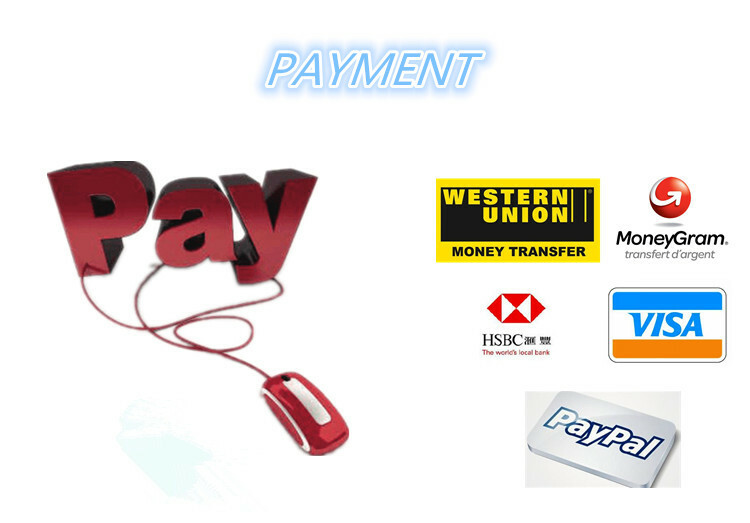 Your inquiries are welcome ! 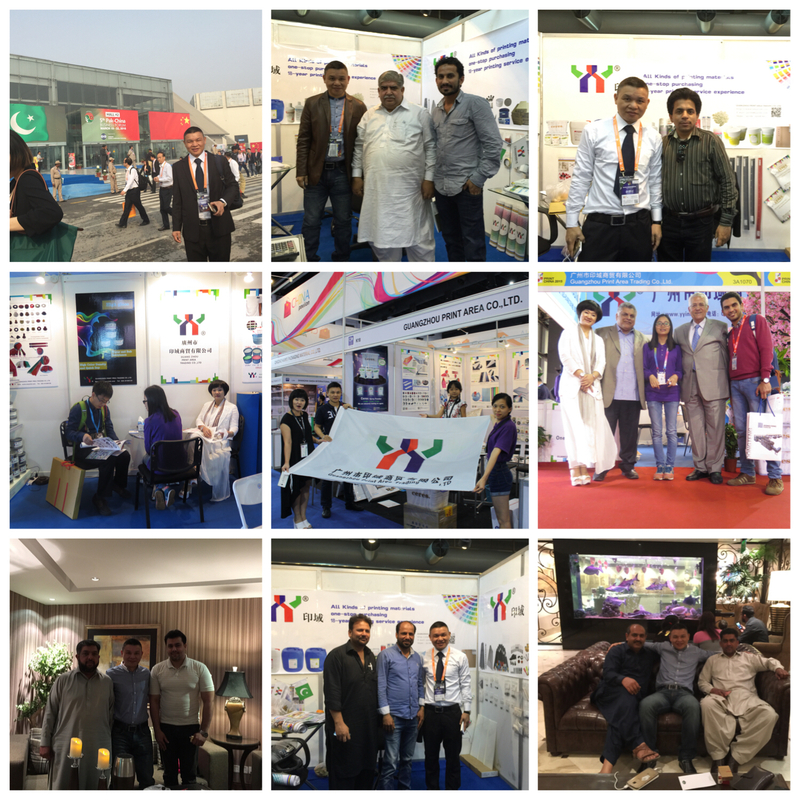 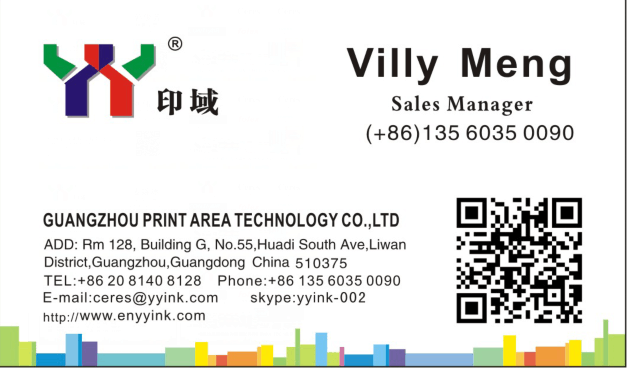 The most inportant thing is if you have any purchase demand in China , we will do our best to help you !